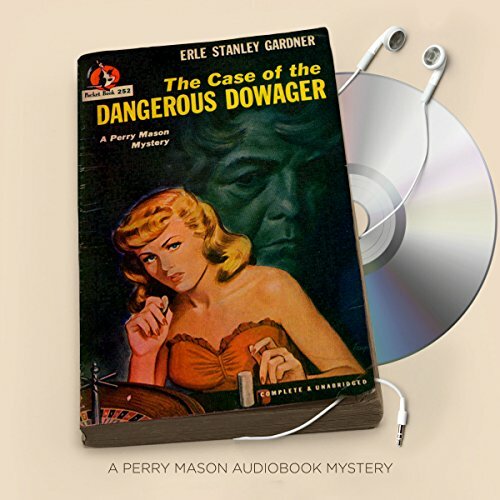 When Matilda Benson solicits the help of Perry Mason, her request seems simple enough: cruise to a gambling ship moored just beyond the twelve-mile limit and buy back the IOUs signed by Miss Benson's niece. But after Mason reaches the floating casino, he discovers problems aplenty - most notably the ship's owner with a bullet hole through his head. Strangely enough, Matilda and her niece are also on board that night...when someone tosses a gun over the railing. Does Perry Mason's client have something to hide? ©1937 Erle Stanley Gardner. Renewed 1964 by Jean Bethel Gardner and Grace Naso. (P)2016 Brilliance Audio, all rights reserved. An unusual Gardner, as this one doesn't end in a trial. Also, it's not as convoluted as a lot of his are. Cendese is growing on me, but his female voices are still ludicrous.